Another point that attracted Steve to Grease Monkey was that, unlike most large vehicle maintenance companies, it is not owned by an oil company, allowing franchisees a greater level of freedom. With brands that are owned by oil companies, you’re tied into using specific products, whereas Grease Monkey gives us the latitude to choose our providers and what best suits us in our locations and is best for our customers. Steve has found one of the most impressive aspects of Grease Monkey as a franchisor is the great level of support and guidance they provide to their business owners. When I think about the support that we get from the franchise, one of the things that come to mind is our field rep. Those guys are just absolutely there for us 100%. They’ve always got out back and they’ve always got our best interests at heart. Anytime we have a question or problem they’re always willing to extend a hand and help us out. 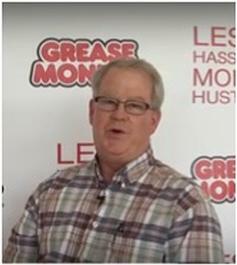 Steve adds that he wouldn’t hesitate to recommend Grease Monkey to someone who was considering purchasing a franchise. “If I was to say anything about Grease Monkey, it’d be that they’ve been truly wonderful to work with. They’ve really been good for us, for our family. We feel like we’re part of the Grease Monkey family and they take a specific genuine interest in our success.